When I first heard of drone strikes by the Obama administration on targets in Yemen, I was skeptical of any US effort targeting terror there. Obama, as we now see in every case of chaos in the region, is neck deep in WikiLeaks cables, investigative reports, and highly illegal military actions that contravene the US Constitution. Just how the man has stayed out of prison these 7 years seems miraculous for me. Just last week, the Pentagon ordered strikes supposedly targeting al-Qaeda in Yemen. This reported fact reverberates in my head as I recall the al-Qaeda George Bush swore to eradicate, and the al-Qaeda Vladimir Putin and Assad are trying to kill in Syria. Or should I say ISIL? You get the point, nobody seems to know who the enemy is, but shoeless and foodless people in wadis all over the Middle East seem to be dying as a result. Excuse me, I divert from the subject of the report here only to emphasize the clearly cohesive mission of corporation, the investor elite, media, and our governmental leadership. Oil, this story is about oil. Without going into a geology or oil & gas lecture here, natural gas, particularly LNG are the mid term future for the people of Yemen. That is if the Saudis with American assistance will let them live. As for oil, and the crude the Saudis need to survive, Yemen has a partial solution there too. 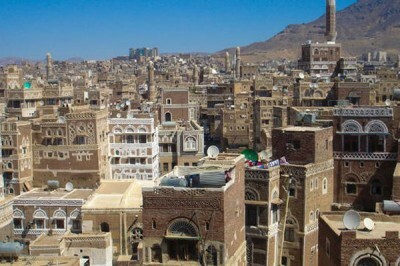 Yemen’s real treasure trove is actually situated in a shared region of the Red Sea, and offshore in the Sea of Aden. It should come as no surprise that companies like British Gas and even the United States Geological Survey (USGS) have been fully aware of vast oil and gas deposits offshore of Yemen for some time. This USGS report from 2002 shows an immeasurable potential, while numerous surveys and explorations offshore show vast reservoirs and potential so obvious amateur geologists could hit oil around Yemen. A report about Samhah Island, in the Gulf of Aden off Somalia told of oil seeping up through the solid rock. Readers will find it ironic that the United States Navy has seized the island, and is building the largest naval base in the region on nearby Socotra Island. Further discoveries beneath the shallow sea bed of the Red Sea stretch from Yemen to the shores of neighboring Saudi Arabia, Sudan and Eritrea. Offshore “heavy oil” and onshore natural gas riches beckon the Saudis, Brits, Americans, and the French. So now you know why Barack Obama never comes to the rescue for Yemeni civilians being murdered, it’s the same reason Russian speakers in the East of Ukraine are not protected, and the same reason ISIL has been allowed to roam Northern Iraq and Eastern Syria. Oh, and Rupert Murdoch, the owner of the Wall Street Journal, his key energy investment in Genie Oil is a direct competitor with any future Yemen revenue gains from new sources. AMSO American shale, a subsidiary of Genie is vested in monetizing the last of America’s shale reserves. So the picture puzzle of Yemen chaos should be complete for you now. And the Wall Street Journal’s counter-intuitive news revealed as well.